Gur Megido’s censored article reporting that I’d identified Boris Krasny. Last year, the Israeli business publication, Globes, published a story based on my reporting the not-so-secret identity of former Soviet agent-turned Shabak spy, Boris Krasny. Since Krasny was instrumental in exposing one of the Soviet’s most valuable Israeli spies, Marcus Klingberg, he’s been protected and enriched by the Israeli security apparatus. Currently, he is the most powerful corporate lobbyist in Israel with scores of corporate clients and politicians in his pocket. He represents their interests in the Knesset and has negotiated tax benefits in the hundreds of millions which are picked directly from the pocket of the Israeli taxpaying public. 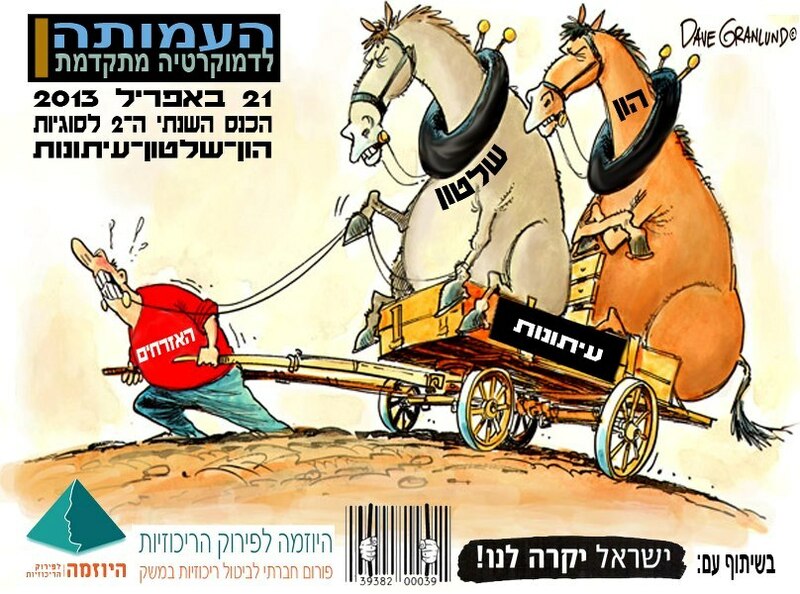 There’s a common social justice meme in Israel, the rhyming phrase hon-shilton, which translates as “wealth ( or ‘plunder’)-power.” The phrase refers to the Israel’s highly-striated social structure with eighteen oligarch families owning 60% of the nation’s capital. And the opacity of financial transactions and the government decision-making process. In short, it represents the 1% versus the 99%. However, in Israel it’s far less than 1% who comprise the élite. Israelis deserve to know the history of Boris Krasny. How he was sent by the KGB in the flood of new immigrants who arrived in Israel in the early 1980s. That he was among a wave of Russian spies who penetrated to the highest levels of Israeli army and politics. How he was “turned” by a Shabak chief and became one of Israel’s greatest double agents. And how he parlayed his loyalty into one of the most lucrative careers any former spy could imagine. Because that earlier Globes article by Gur Megiddo mentioned me by name as the source who exposed Krasny (though he didn’t mention the latter in his article), the IDF censor censored his article. Apparently, mention the name “Silverstein” in certain contexts has become a security offense. Globes appealed this censorship matter to the Israeli Supreme Court. Imagine, little old me being the subject of a High Court hearing (along with my man, Boris, of course). Now, in a new article (which of course doesn’t mention my name), Globes reporter Shai Niv describes the absurd judicial hearing in the matter. When the Shabak officer comes to testify why the State must suppress press freedom to protect Krasny, the State’s lawyer demands the Court be closed. The justices promptly acquiesce and the Globes lawyer exits the courtroom with Megiddo as well. The justices then hear in secret from the Shabak about why publication of a decades-old story will damage the security of the nation. At the end of the hearing, they of course determine that the censor’s decision was righteous and just. The State has been protected. Boris Krasny may continue to rake in his millions safe in the knowledge that the State will protect his corporate racket. The only one to suffer is the Israeli public, and justice, and a free press. That the Israeli justice system is in the pocket of the security state is no secret. It’s just that at one time the Supreme Court had the temerity to once in a while rein in its worst excesses. No longer. Today, the Court boasts a bona fide settler as one of its justices. Long gone are the days of Aharon Barak or even Dorit Beinisch, a former civil libertarian turned supporter of the status quo. In fact, the newest addition to the Supreme Court is a justice who is the sister of the chief of the Shabak’s Jewish terror unit. How do you think she will rule on matters pertaining to her brother’s agency? The security fix is in. It’s forbidden to publish the name of the man, even though information about his security past in known to many. It made no difference [to the judges who sealed the proceedings] that his full name flies freely in popular internet sites in the world with full details about the case. It didn’t even help that it was reasonable to assume that foreign intelligence agencies know English well enough [to have read this]. Israel’s leading publication supporting press freedom, 7th Eye, also took a timid line regarding the story. In fact, the reporter who wrote this story once told me that it could not even mention my name, let alone link to my blog, regarding censored stories which I broke. Some jackrabbit-scared lawyer told them that merely mentioning the name of a journalist who violates Israeli censorship was enough to land them in hot water with the government and censorship regime. Personally, I think that’s an assumption worth challenging. But Israeli media make their own determination about what’s worth fighting for; and apparently this isn’t one of them. I’ll let you be the judge of what that makes them worth as fighters for a free press. But at least Oren Persico did succeed in slipping Boris Krasny’s name surreptitiously into his own piece. He mentioned that Israeli companies were fighting for government tax-breaks and that in their fight they’re represented by Israel’s leading lobbyist, none other than…Boris Krasny. This report hasn’t been censored…yet. This really is a silly decision, seeing how the information is out there. Widely out there. Closing the barn door after the horses left – if this was such a big secret, one would’ve expected them to investigate those who leaked it more severely, no? But it seems that is harder than trying to place a rather useless gag.